Triotech celebrates its 350th installation worldwide and continues its growth as “Creators of fun”. The star product of this success is Triotech’s XD Dark Ride interactive theater. This year, Triotech deployed its 180th XD Dark Ride attraction in Ecuador in Safari Xtreme park at Malecon 2000. Qualified as a “principal attraction” by the local media, it is the first attraction Triotech has brought to this South American country. Among its other recent installations, Triotech counts XD Dark Rides interactive theaters in Mexico for the mall centers owned by Grupo Diniz, Go’n Bananas in the USA, and the new location of Funlab’s Archie Brothers Cirque Electriq in Australia. 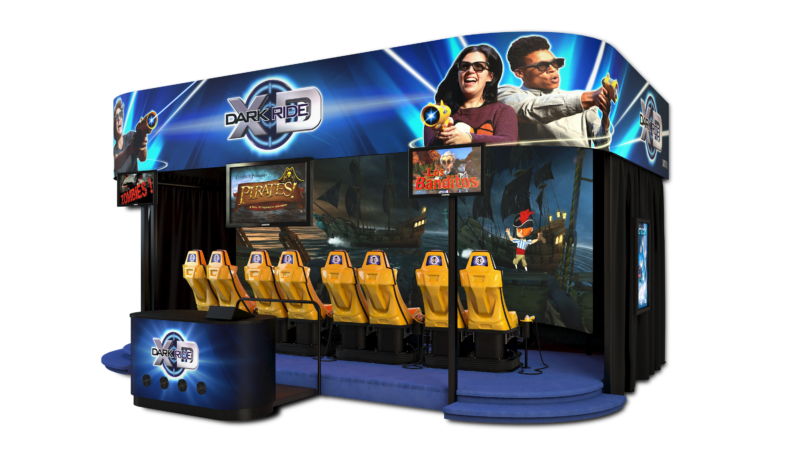 “With 180 installations worldwide, the XD Dark Ride interactive theater is the industry reference when it comes to interactive simulators” said Ernest Yale, Founder and CEO of Triotech. Triotech is also launching a new adventure for its VR Maze attraction. Developed by Ubisoft, the new venture is called “Assassin’s Creed®: The Temple of Anubis”. 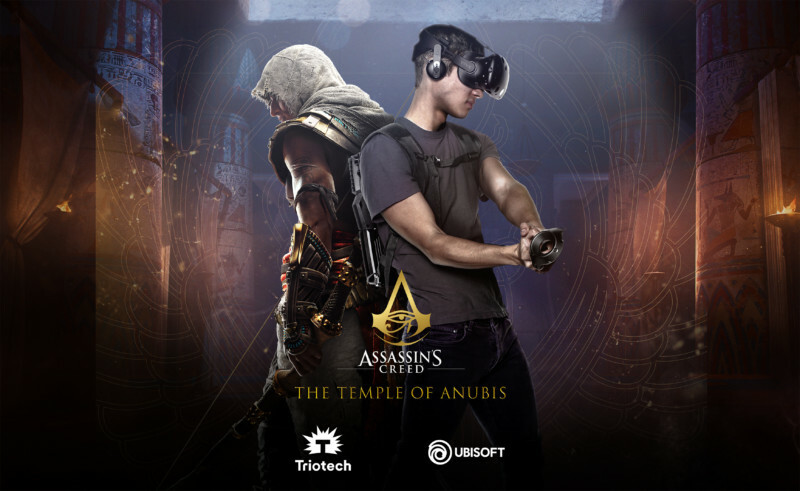 Announced at IAAPA’s attractions expo in Orlando and eagerly awaited, “Assassin’s Creed®: The Temple of Anubis” offers a new VR experience. Set in Ancient Egypt as reimagined in Assassin’s Creed Origins, players embody the hero, Bayek, as they explore a mysterious temple. Staying true to Assassin’s Creed Origins, players wield a virtual bow & arrow to fight against enemies. Because walls and obstacles of the digital world can be touched in the real world, players live a full immersion as they dodge enemies’ arrows, walk across shattered wooden planks, and ultimately experience the iconic leap of faith made famous by the video game franchise. “We are really excited to partner with Ubisoft on the well-known franchise Assassin’s Creed. Already more than 100 000 people have experienced our VR Maze all over the world, and this next chapter will definitely widen its appeal!” commented Ernest Yale, Founder and CEO of Triotech. “We’re continuing our expansion into other areas of entertainment, leveraging our popular game brands such as Assassin’s Creed to create new experiences for fans and to capture the imagination of new audiences,” said Deborah Papiernik, Senior Vice President, New Business, Ubisoft. Requiring only 120 sq. ft, the VR Maze has a wide appeal for FECs and amusement parks as the digital content can easily be switched by clicking one button, making it possible to switch between three different experiences: Ubisoft’s Virtual Rabbids: The Big Maze, a funny and family-friendly experience, Ubisoft’s Assassin’s Creed®: The Temple of Anubis, and Minotaur, which all appeal to different demographic audiences. Triotech will be present at Euro Attractions Show (EAS) in Amsterdam at Booth #1-611 from September 25-27.